How to group contacts using predefined filters? 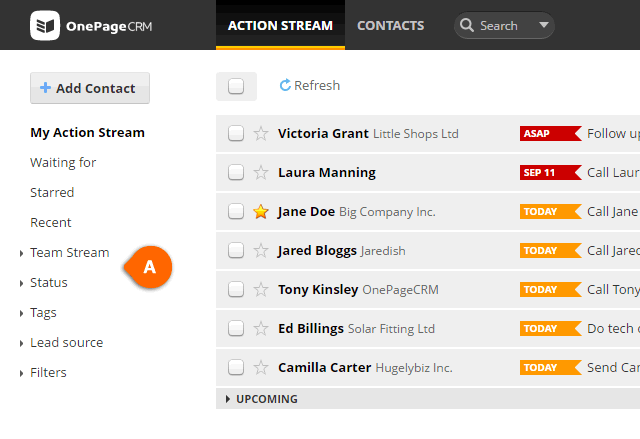 OnePageCRM's aim is to enable you to focus on the selected group of contacts at the time and work efficiently. Status: contacts with a specific Status label. Status can be updated while contact is moving through the sales process. Tags: contacts who are tagged can be filtered by clicking on the tag name under this filter. Lead source: contacts group by the lead's origin. Filters: custom filters which you can save using Add filter or the Advanced search.